Eleven women established an associate chapter of Delta Xi Phi Multicultural Sorority, Inc. at the Ohio State University on March 27, 2009. 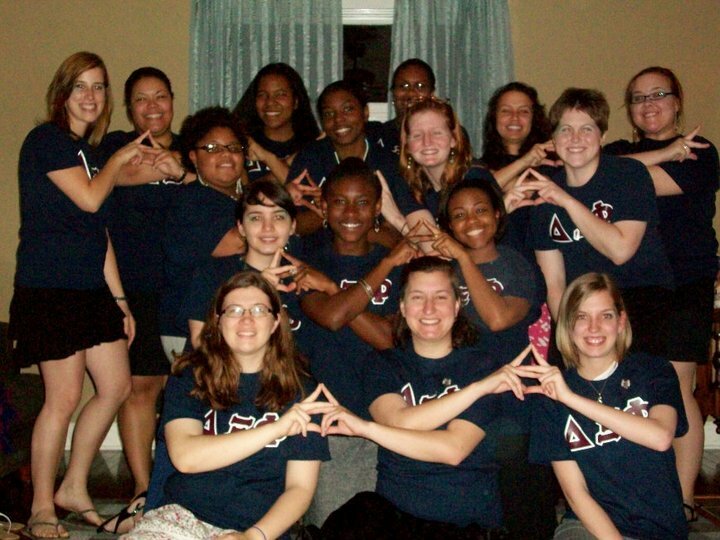 A few months after they celebrated their first anniversary as an associate chapter, the sisters received chapter status becoming the Phi Chapter of Delta Xi Phi. “Our founding Alpha line sisters put a lot of effort into laying the groundwork of establishing DXP at Ohio State. I think establishing a common vision and knowing where they wanted to be a year later probably helped a lot,” says Jeanette Pavlik. 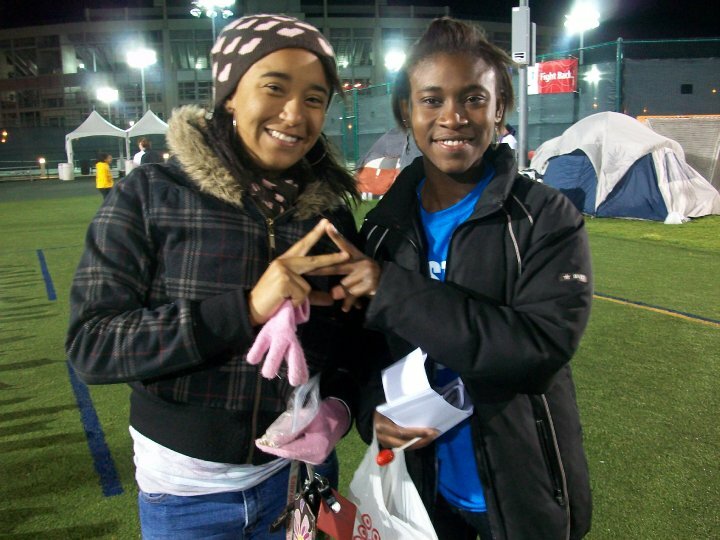 The sisters at the Phi Chapter have worked hard within the past two years in order to establish DXP at Ohio State, the university’s first multicultural sorority. 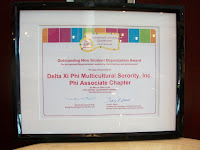 They are also one of DXP’s youngest associate chapters to receive chapter status. “The hard work, commitment and passion for Delta Xi Phi from my Phi sisters is what I think helped us receive chapter status,” says Brittany Savko, New Member Educator and incoming President. 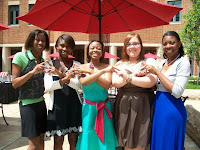 Phi sisters welcomed six Beta Line sisters on their one year anniversary and three Gamma Line sisters during the last quarter. There are now 21 sisters that make up the Phi Chapter. As the Autumn Quarter approaches at the Ohio State University, the sisters are hoping to expand their growing chapter in several ways. “Currently, we hope to continue to spread the word about DXP on campus through successful multicultural events and marketing advertisements, recruit many more new women and continue to earn honors and awards from our university’s Greek Life department,” says Savko. As the Phi Chapter was expanding number-wise, the sisters were also working hard to establish a solid presence on campus, as well as hosting several events that promoted the purpose of DXP’s five pillars, especially Multiculturalism. Some events include multicultural movie nights, histories about several cultures (including Irish dancing, Bellydancing, and Native Americans), and a “That’s so Gay!” GLBT Awareness Night that they received an Outstanding Diversity Program Award. All of this hard work paid off with even more awards as well, both individual and group awards. The Phi Chapter sisters earned the Outstanding New Student Organization Award, the William H. Hall Chapter of the Year Award, the Outstanding Scholarship Program Award, and Recognition as Activists for Diversity Award. 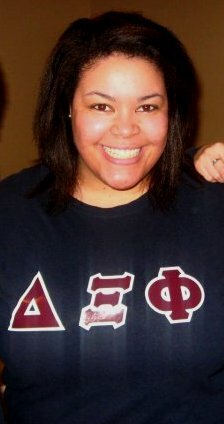 Phi sister Lauren Eskin also received a Greek Life Living the Ritual Award for her commitment to all five pillars. Another sister, Lea Madry, Phi Chapter’s first alumna, was also recently featured in an article on OSU’s Arts and Sciences website. The article, titled “Lea Madry: Determined to Make a Difference,” is about Madry’s college career and what she accomplished such as serving others and promoting DXP’s pillars, as well as bringing the sorority to OSU. “It took a lot of hard work and perseverance from all of our sisters to gain chapter status. We all knew that gaining chapter status would be a hard goal to reach, but with the right visions, determination and amount of work we were successful! Each and every individual sister helped contribute to our success in earning chapter status. All of the fundraising, multicultural events and recruitment efforts on [Phi’s part] were major components to our gaining chapter status,” says Savko.